Kirk McElhearn writes about Macs, iPods, iTunes, books, music and more on his blog Kirkville. He is a regular contributor to The Mac Security Blog, TidBITS, and several other websites and publications. 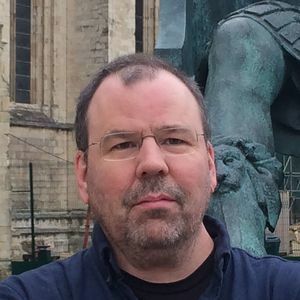 Kirk has written more than twenty books, including Take Control books about iTunes, LaunchBar, and Scrivener. Kirk McElhearn has hosted 79 Episodes. What Is a Firewall, and How Does it Work? After some news about an interesting new iOS security feature, some potential malware, and a surprising move by Microsoft, we delve into firewalls. What is a firewall? How does it work? Why do you need one? We explain what tech support scams - by phone, or on the web - are all about, and we then take a close look at the best ways to do a spring cleaning on your Mac. 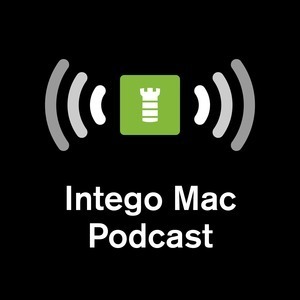 We discuss three new types of Mac malware, talk about the latest Mac and iOS security updates, then look at a sneaky new threat that can affect the security of your iOS devices. In this week's episode, we explain why you may see dialogs on your Mac warning that your apps aren't compatible. Then we welcome Brian Burke, the president of SellYourMac.com, to discuss the best way to sell your old Mac, iPhone, or iPad. We cover a lot this week. Facebook and Cambridge Analytica, a new DNS service for individuals, new Apple privacy features, the new Mac Pro, and more. After some news - about a 100TB SSD, storing data in DNA, and more - we discuss whether your smart speaker is spying on you, then examine what could happen if you delete your Facebook account. Could you still log in on all the websites where you used your Facebook profile? Which Hard Drive Is Best for Your Mac? We look at the three different types of hard drives you can use with your Mac: hard disks, fusion drives, and SSDs. We also discuss a cryptocurrency miner in the Mac App store, a new device that can crack any iPhone, and rumors of new Mac laptops. Apple is simplifying its macOS Server software, and we discuss what you may want to do if you use this software. We also look at some recent news, such as how a Mac user was able to track a Mac his sold for three years, and how a company claims they can unlock every iPhone. Is it a good idea to join Apple’s public beta programs, to get access to new features before everyone else? We discuss the pros and cons of being a guinea pig. We also highlight some recent Mac security issues and malware. Do You Really Want an AI Listening to You All the Time? We discuss Apple's HomePod, and the security implications of having an AI listening to you all the time. We also cover news about the Chrome browser's new built-in ad blocker, a text message bug that affects Apple devices (and is now fixed), and an interesting new chip in Apple's iMac Pro. An overuse of ads has made it hard to read websites. In order to read easily, and safely, it's useful to use an ad blocker. We discuss why you may want to use an ad blocker, how they work, and how to use them in macOS and iOS. Malware and Security Lingo: What Do Those Words Mean? We use lots of strange words to describe malware and security issues. We look at malware and security lingo, explain who gets to name new malware, and also talk about Apple's latest updates to all their operating systems.